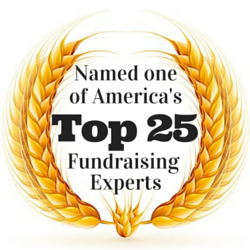 Do You Want to Avoid Being a Fundraising Horror Story? With Halloween just days away, horror is in the air. You can watch any number of classic or recent horror films on your television, or other electronic device. You can also go to your local movie theater to see the latest scary movie. However, if you want to avoid being a horror story yourself, I have some important advice for you borne out of my wife’s recent donor experience with Cedars-Sinai Medical Center. Allow me to tell you the frightening tale, and share what you can learn from it. My wife regularly reads a blog written by a nutritionist who is focused on a particular health condition. Not long ago, the blogger published a post about the research being conducted at Cedars-Sinai for this particular health issue. The post contained a link for readers interested in donating to the research project. My wife clicked the link and was taken to the appropriate donation page on the Cedar-Sinai website. Here’s where things start to get a bit scary. It’s a good thing that the blogger provided the link, because the Medical Center’s homepage does not contain a link to its donation page at the top of its homepage. To find it, you need to take the time to search for it; if you go looking, it’s at the very bottom of the page. The other disturbing part of the organization’s website is that, when making a donation, you must select a Title from a drop-down menu. The options are Cantor, Dr., Father, Mr., Mrs., Ms., Pastor, Rabbi, and Reverend. Notice any missing options? Well, they are missing others such as Honorable, military ranks, and other religious titles. They are also missing Mx., the preferred Title of many transgender and non-binary people. Sadly, there’s no way to write-in one’s own preferred Title. Furthermore, this is a required field. In other words, a transgender person who prefers the Mx. Title is compelled to choose between the wrong Title or simply not donating online to Cedars-Sinai. That’s the very opposite of rolling out the welcome mat. Because my wife was provided the appropriate link and prefers either the Mrs. or Ms. Title, she was able to make an online donation. When doing so, she restricted her gift to the particular research project mentioned by the blogger. She also included a note in the comment field alerting the Medical Center that this would be a one-time gift. Now, the fundraising horror really began for my wife. Despite having clearly indicated that the gift was a special, one-time event, Cedars-Sinai insisted on sending a number of appeals to her. Making matters worse, none of those appeals had anything to do with the health issue that my wife contributed to. The institutional magazine that was sent to her contained no information about the health issue of interest. She never received any information from Cedars-Sinai about the research project. My wife contacted Cedars-Sinai to once again inform them that her donation was a one-time event. She requested that Cedars-Sinai remove her from its mailing list. Weeks later, she still receives mail from them. A lot of mail. All of it unwanted, none of it relevant to the initial restricted gift. With more of her donation wasted with each mailing, my wife’s level of frustration and annoyance continues to increase. Are you writing a horror story for your donors? Don’t. 1. Make Your Website Donation Button Easy to Spot. The donation button should be in the upper, right-hand corner of each web page on your site. Make giving easy for people. If they have to hunt for your donation page, they won’t. Instead, they’ll give elsewhere. 2. Be Inclusive. While inclusiveness means so much more than having a proper drop-down menu for Title, it’s a good place to start. Add “Mx.” to your organization’s list of Title options. In addition, if it’s a required field, allow donors to add their own Title if they don’t see one meaningful to them. 3. Listen to Donors. If a donor expresses an interest in a particular program or service your organization offers, do not waste their time talking about everything except the one thing that you know interests them. Instead, let them know how well their money has been spent and what they have accomplished with their gift. Furthermore, when a donor tells you to remove them from your solicitation list, do it, especially when they make the request more than once. If they don’t want to be called, but are willing to accept mail, honor their request. If they restrict their gift, honor their donative intent. Respect your donors and their wishes. 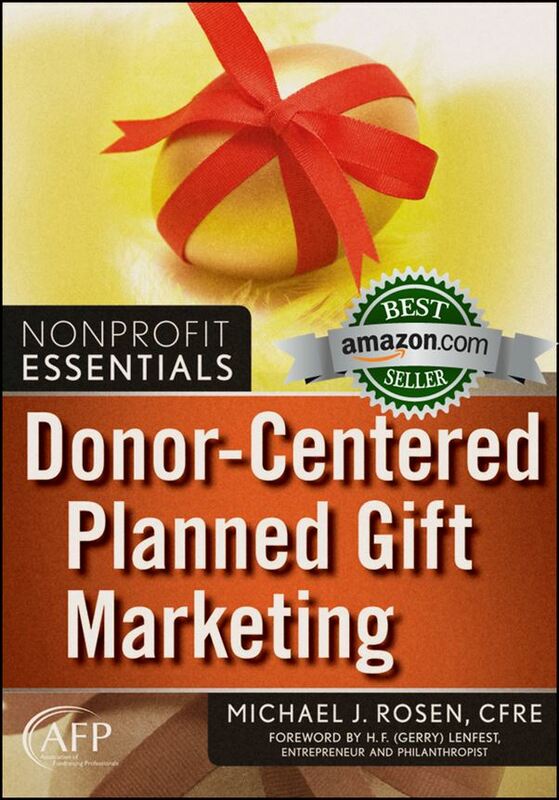 While I’ve offered you three tips, they all fall under the umbrella of being donor centered. If being donor centric was part of the DNA at Cedars-Sinai, they never would have made the horrific fundraising blunders they did. Sadly, that means they’re likely alienating other donors as well. If you want more donors, if you want to increase donor retention, if you want to upgrade the support of existing donors, adopt a donor-centered culture at your organization. Simply put, being donor centric is about treating donors the way they want to be treated. If you do that, you’ll be part of a happily-ever-after tale rather than a fundraising horror story. I also encourage you to Follow The Whiny Donor on Twitter. Despite her Twitter identity, The Whiny Donor doesn’t actually whine. Instead, from the perspective of a donor, she makes astute observations about the mistakes some nonprofit organizations make that all should avoid. As her Twitter biography say, “On the development committees of two non-profits, and a donor to many others. Here I tell you what bugs me in the world of fundraising.” Follow her for terrific insights. Lastly, I invite you to share your own horror story below, either from your perspective as a fundraising professional or as a donor. This post touches a nerve with me because I work at a relatively new, very small (2 FTEs) nonprofit providing cancer support services to more than 400 people a year. We are doing the best we can with the help of many dedicated volunteers. But, we are not Cedars-Sinai (or our local hospital version) and yet some donors have expectations that we do with 2 FTE’s what Cedars-Sinai cannot get right with how many on their development staff? In an ideal world, we would get everything perfect; in our imperfect world, I am deeply grateful when people cut me some slack. Madeline, thank you for sharing your thoughts. I tend to agree with you regarding the idea of cutting an organization some slack UNLESS their problem is systemic (i.e., not being donor centered) or they have been given multiple opportunities to fix a problem but still fail. We should not fear criticism. It is the feedback we need to improve. When the criticism comes from a donor, it means they care and, therefore, it is a great opportunity to build a stronger relationship provided that the organization doesn’t behave defensively. And you hit a nerve with me when you said ” provided the organization doesn’t behave defensively”. Often, when I bring feedback back from loyal donors (feedback which some might see as constructive criticism) I’m met with defensiveness and why we can’t do what the donor asks, versus looking at what we CAN do that might make a difference to the donor and allow them to feel as though what they have to say matters. Thank you for this post…. Victoria, thank you for your kind feedback. I enjoy feedback. Some folks think that feedback is either positive or negative. However, I believe that all feedback is positive, if offered constructively. Positive feedback helps us know what to keep doing. So-called negative feedback let’s us know what we could be doing differently or better. All feedback helps us grow and improve. In my experience, it’s primarily insecure people who react defensively to criticism. Organizations that truly value their staff, allow them to make intelligent mistakes, and cultivate a can-do attitude are generally better at accepting criticism. Oh. I SO agree. Thank you for your confirmation of what my heart tells me is true.